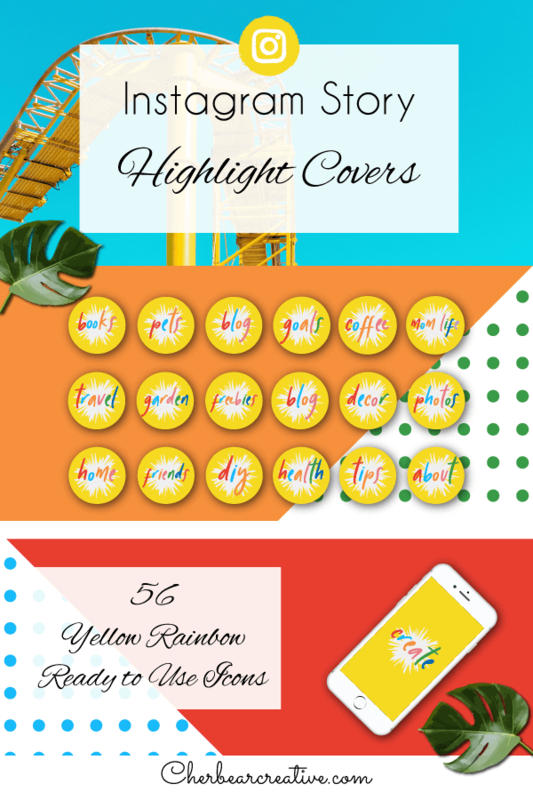 Following my colorful candy minimal highlight icons, I decided to make these bright yellow covers with rainbow text. I just love these colors! 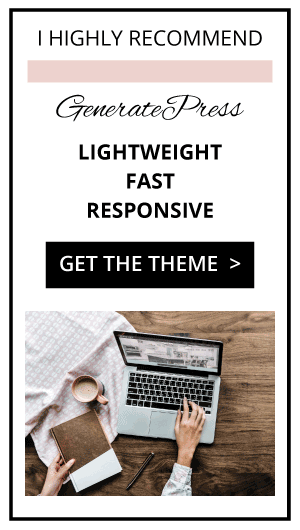 You can grab the entire set of these colorful highlight icons here. 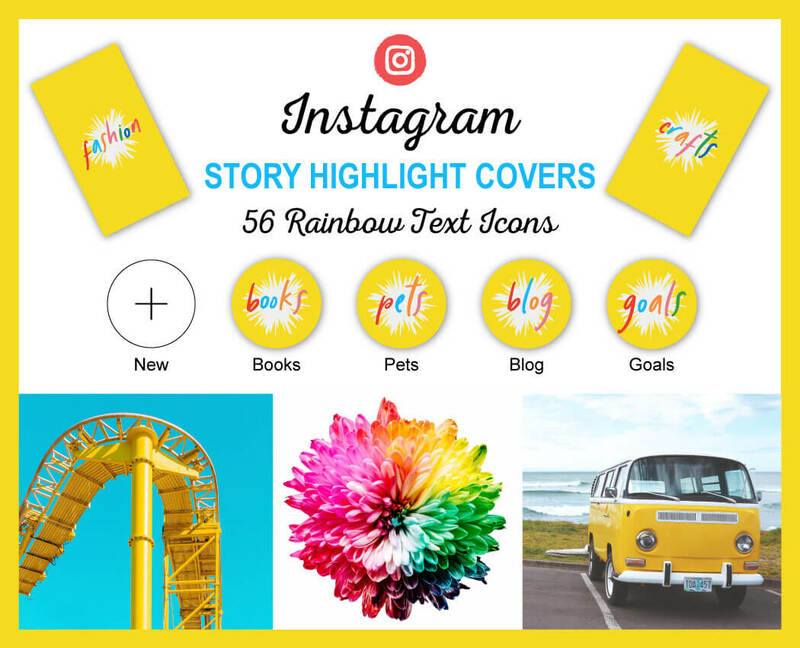 Grab the full set of Yellow & Rainbow Text Icons and start using them on your Instagram today!